A Little Time and a Keyboard: Hurry! Just Peachy Photography Giveaway Ends August 5th! Hurry! Just Peachy Photography Giveaway Ends August 5th! Kat and I had a great experience with Just Peachy Photography. Erika Williams captured our girls in beautiful portraits. One of our local readers can also win an phenomenal package from Just Peachy Photography. 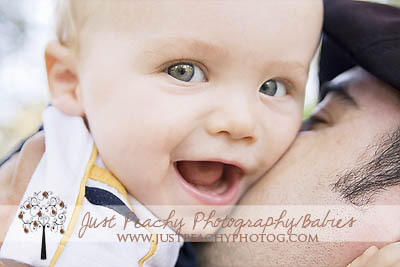 Erika will be providing a free mini session with a free small portrait package for one lucky winner. Awesome! The small portrait package will include 4 portraits (one 8x10, one 5x7, and 2 4x6’s). Just Peachy is centered in Palatine, Illinois. The mini session is available in a location agreed upon between Erika and the winner within 20 miles of Palatine. Erika specializes in newborn, infant, child, maternity, and family photography. The possibilities are endless and one of our readers will win this fabulous prize! Hurry--the giveaway ends August 5, 2012! Definitely, make sure to get in on this giveaway! Additionally, Erika has a summer promotion going on. Currently, Erika is including a 16×20 Canvas Gallery Wrap with every “Take the Whole Orchard Digital Collection” or “Fill Up the Wagon Print Collection” purchased by August 31. (This is a $260 value.) If you are interested in a smaller package, Erika is offering a free 11x14 wall mount with her other print and digital packages. These offers are available until August 31, 2012 and neither can be combined with any other offers, promotions or discounts. Please like Just Peachy on Facebook for this wonderful deal! To enter our awesome giveaway, please checkout our review for details!